Congratulations to these very deserving award recipients! Award winners under this category realize the importance of Great Rivers United Way and continually come through in financially supporting our cause. Award winners under this category are not afraid to speak up for United Way. They continue to take time out of their busy days to say “This organization is important and we must help them”. Award winners under this category continue to volunteer their precious time to United Way and/or Partner Programs. 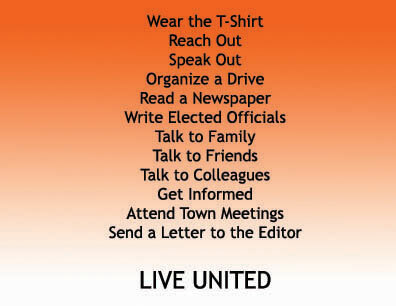 When you LIVE UNITED, you combine all the categories of Give. Advocate. Volunteer, and you incorporate them into your everyday life. Kyle Lang, who ran across the country to raise money and awareness for Great Rivers United Way and two other non-profit organizations, received our “Power of One” Award for 2017.